I've missed out on the last 2 challenges so have made an extra special effort to make sure I didn't miss out this time around! 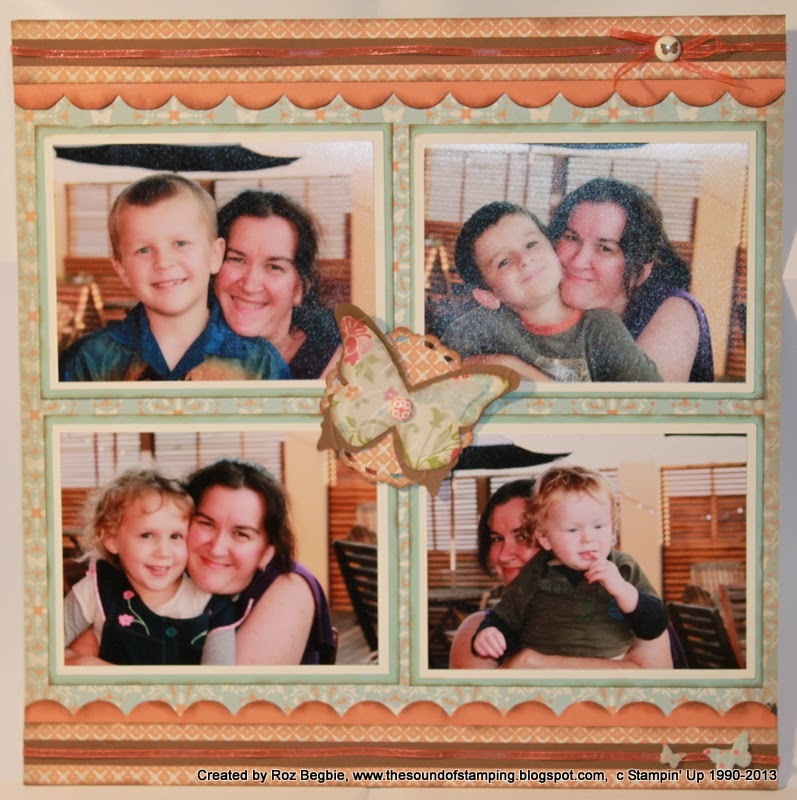 The challenge this month was Just Add Hidden Journalling or Memorabilia. It's quite fun to hide things on your layouts, make pockets for memorabilia etc. 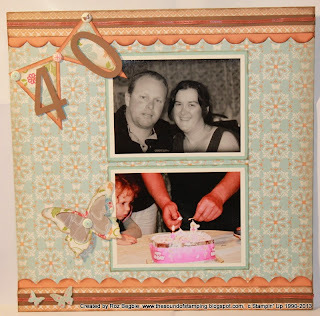 This double layout is about me turning 40 recently (eek!) 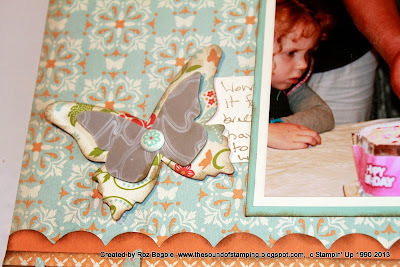 so I've used this challenge to hide a journalling tag attached to the butterfly. I have written down some of my feelings about hitting this milestone. 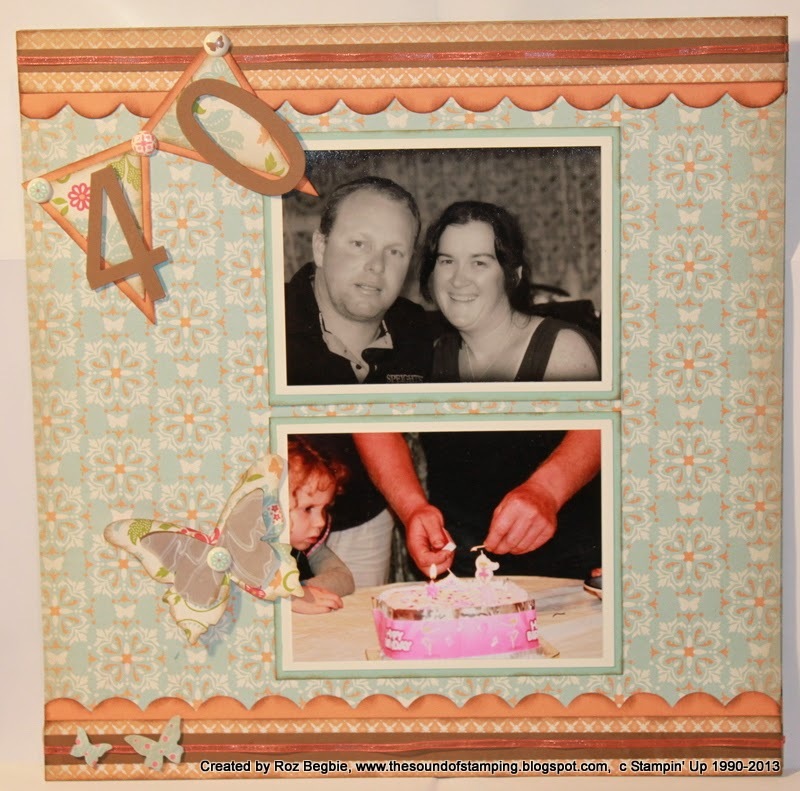 This was also a great project to use up lots of retired DSP, Ribbon and Brads and was inspired by this elegant layout by Kay Kalthoff. 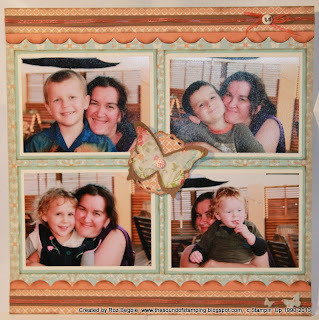 Great page Roz, I love the edging you've added to the scallop trims and the layout of the pic's is great!! I can only imagine what it feels like to be that wonderful age.... 4 years and i'm there too!!! So know what you mean about your "feelings" and it will be awesome to have them written down on that little butterfly pull out! Gorgeous Roz..love the butterfly journalling and its a great age to be! Wish I was 40! What a lovely layout and such a great idea for the hidden journalling. That's for entering the JAI scrapbook challenge. Oh I love that hidden tag! Very clever idea. Thanks for playing along with us at Just Add Ink.